imec along with Ghent University (UGent) have launched Sentea, a spin-off from their world leading Photonics Research Group. An initial 1.6 million Euro in funding was raised from Fidimec, Finindus, PMV and QBIC II and the founders. Sentea will develop and market advanced silicon photonics based fiber optic sensing solutions. These will be used to continuously monitor engineering structures for signs of damages that over time could lead to catastrophic failure, as well as to control industrial installations to maximize their efficiency. According to a market research report from MarketsandMarkets, the structural health monitoring market is estimated to grow from USD 1.48 billion in 2018 to USD 3.38 billion by 2023, at a CAGR of 17.93% between 2018 and 2023. The major factors driving the growth of the structural health monitoring market include concerns about catastrophic failure due to aging infrastructures in the developed countries, stringent government regulations pertaining to the sustainability of structures, and the superior benefits of structural health monitoring. Furthermore, the structural Health Monitoring Market for the Energy vertical is expected to grow at a rate of more than 20% from 2018-2023, owing to various applications such as wind turbines, nuclear power plants and hydropower plants. Structural Health Monitoring (SHM) is a process in which engineering structures are continuously monitored throughout their lifetime for early signs of damages that over time could lead to catastrophic failure. By detecting any damage early on, and repairing or replacing the damaged part, catastrophic failure and the resulting downtime and huge repair costs can be avoided. A range of SHM solutions, such as fiber optic sensing, have found their way into engineering structures such as wind turbines, nuclear power plants, ships, trains, airplanes, buildings, bridges, dams, tunnels, heavy machinery, blast furnaces and so on. Fiber optic sensing is a technology where the sensor itself is a specialty fiber designed such that it can sense pressure and temperature at multiple point along the length of the fiber. An interrogator device then captures the signal of the multiple sensing points in the fiber and interprets the signal into pressure, temperature or other derived parameters (e.g. acceleration or vibration). 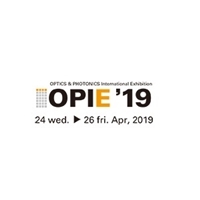 The inherent advantages of fiber optic sensors such as light weight, small size, passive, low attenuation, immunity to electromagnetic interference, wide bandwidth and environmental ruggedness are heavily used to offset their major disadvantages of high cost of the interrogator. Cost reduction of fiber optic sensor interrogators, together with new trends like IoT, big data and industry 4.0 will boost the utility and demand of fiber optic sensing in SHM and process control even further. Sentea builds on state-of-the-art silicon photonics technology IP that has been developed at the Photonics Research Group of imec and the UGent for the past 20 years, a technology in which both organizations are perceived as world-leading. 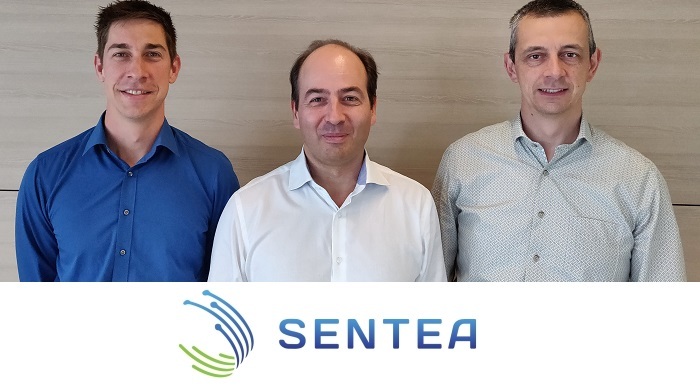 This firm technology base will provide Sentea a kick-start to develop its sensor technology that is answering an existing need in a broad range of market segments. According to Karsten Verhaegen, CEO of Sentea, integrating all optical functions into a single silicon photonics component will allow to make highly accurate, small and robust fiber optic sensor interrogators. Silicon photonics is also very cost-effective, which makes fiber optic sensing affordable for a wide range of new markets and applications and facilitates universal and continues monitoring of structures. Key potential customers have expressed great interest in Sentea’s solutions, stating that better infrastructure lifetime management and process control makes them more competitive in their respective markets.